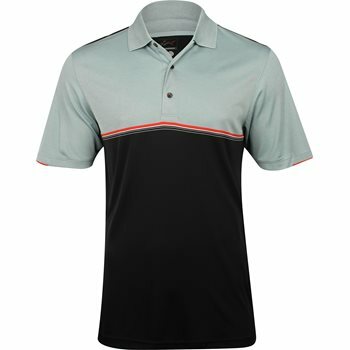 The Greg Norman ML75 Dart polo features ML75 fabric that offers a luxury look and hand-feel, ultra-lightweight comfort, and moisture wicking. With PlayDry Technology, moisture is wicked away from the skin and evaporated through the fabric so you can stay cool and dry. Another benefit of the fabric is UV protection, so you can enjoy the sun with no worries. The fabric is also easy to care for. It is machine washable and resistant to shrinking and wrinkles. The ML75 Dart polo is designed with a novelty pique knit collar, sleeve detailing, engineered chest stripe, a raised Shark logo centered at the back neck, and a 3-button placket for closure adjustability.